The William Floyd Estate today comprises 613 acres of land bordering Moriches Bay and the original Old Mastic House on site was lived in by at least eight generations of family members from 1718 to 1976. It is run today by the National Park Service and is a separate operating unit of Fire Island National Seashore. There is an old house nestled on Moriches Bay that has seen its share of artists come and go through the centuries. Many came to the Old Mastic home when it was known as the Nichol’s Estate. Today, it is called the William Floyd Estate. Some of the people who visited were well-known artists for their time period while others had no reputation as artists. They all came for various reasons, but primarily to be in an idyllic setting where land, sea, and sky all melded into one another, and that let their creative powers flow. The laid-back bohemian style of life that was to be had at Old Mastic furthered artistic creativity. 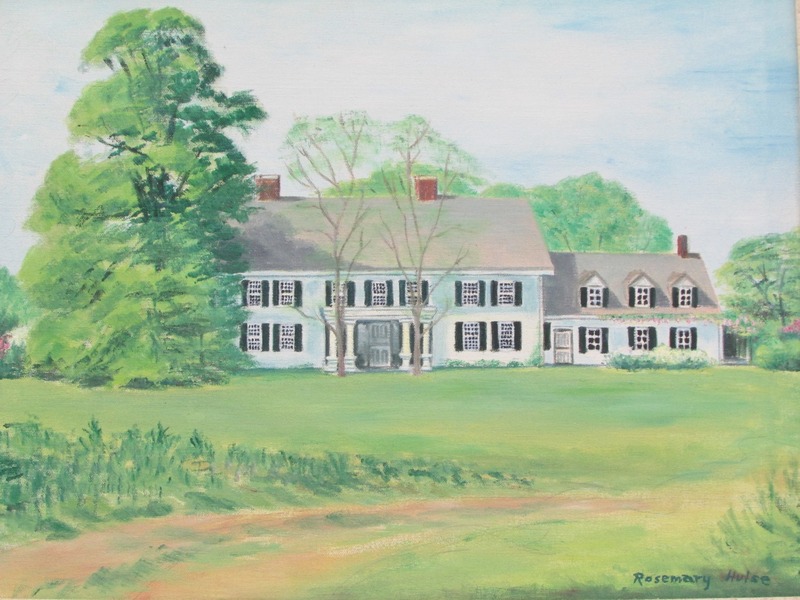 It is important that the historic and artistic Long Island community know that the copious amounts of art completed in this quiet, salty-aired landscape was done on site or within the walls of the old manse. Mastic has never been known historically as an artistic location. Hopefully now the works of art will gather an appreciative audience. A new Long Island location can be identified as an area that artists sketched and painted. The majority of the art seen here was in a special exhibit for the past 2 years, providing the first time the public had the opportunity to see some very fine pieces. 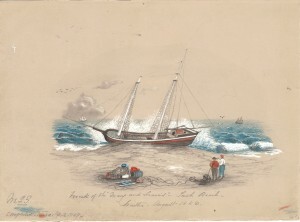 Figure 1: The Wreck of the Mary and Francis, 1856, by Katherine Floyd Dana, colored pencil sketch. William Floyd Estate, National Park Service. The earliest artwork on this property was done was by famous artists who were commissioned to paint family portraits, such as the 18th century portrait painter Ralph Earl (1751-1801). 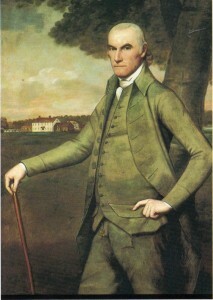 He painted the signer of the Declaration of Independence, William Floyd, in 1791-2. That original painting was given in 1975 by family members to Independence Hall in Philadelphia, where it still hangs today in the Second Bank of Philadelphia, appropriately in the Hall of Signers. 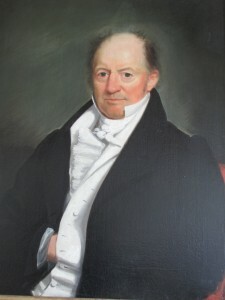 Figure 2: William Floyd, 1791-92. Ralph Earl, oil on canvas. Independence Hall. The National Park Service, which also manages the William Floyd Estate, commissioned Cyrus Gardiner to recreate a near duplicate of the original, to take its place in the house where the original had hung for centuries. Earl was also commissioned to paint various other Floyd family members and those original paintings are scattered about the country today. Figure 3: Nicoll Floyd, 1831. Shepard Alonzo Mount, oil on canvas. William Floyd Estate, National Park Service. 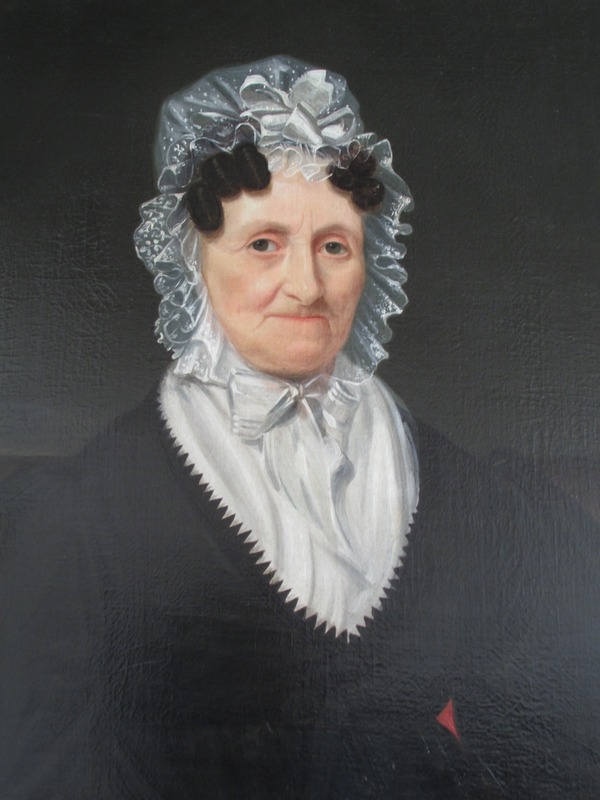 Figure 4: Phoebe G. Floyd, 1831. Shepard Alonzo Mount, oil on canvas. William Floyd Estate, National Park Service. Shepard Alonzo Mount (1804-1868), the well-known portrait painter from Stony Brook and older brother of William Sidney Mount (1807-1868), painted Nicoll and Phebe Floyd in 1831. Both of those paintings still hang in the Old Mastic Home, the name the family gave to their beloved place by the latter half of the 19th century. 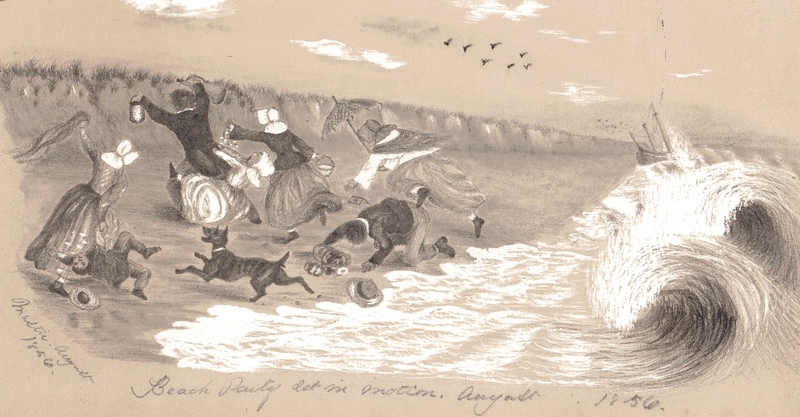 Figure 5: Beach Party Set in Motion, 1856. Katherine Floyd Dana, pencil sketch. William Floyd Estate, National Park Service. Many artists were actually family members while others were friends who came to sail, write, party, relax or hunt with the family. In 1850, a gifted young 15 year old woman by the name of Katherine Floyd (1835-1886) started to sketch life on her family’s farm by the sea. She produced many striking images in pencil and watercolor. She captured farm life indicative of not just Mastic but all of Long Island at that time as well. She painted numerous beach and water scenes and an occasional shipwreck. Most of her sketches and paintings are quite small but extremely detailed. Katherine completed dozens of images for 10 years, and she signed and dated almost all of them. While an extremely talented artist she stopped painting in 1860 and then went on to become a successful author. She wrote under the pen name of O.A.W. (she said it stood for “Only a Woman”) and then she began to sign as Olive A. Wadsworth. A large majority of art was being produced on the property from the late 1800’s to the early 1920’s. 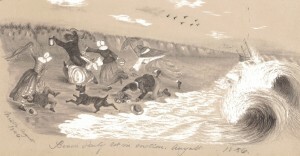 Sheldon Leavitt, Jr. (1844-1921), in 1877, painted “On a Point” for John G. Floyd, Jr. The man depicted field hunting in the painting could very well be John’s father, John G. Floyd, Sr. Sheldon Leavitt’s sister had married a related family member from upstate New York and that is probably how he came to know the family. Figure 6: “Good Hunting,” Scribner’s, 1916. Arthur B. Frost. William Floyd Estate, National Park Service. Arthur B. 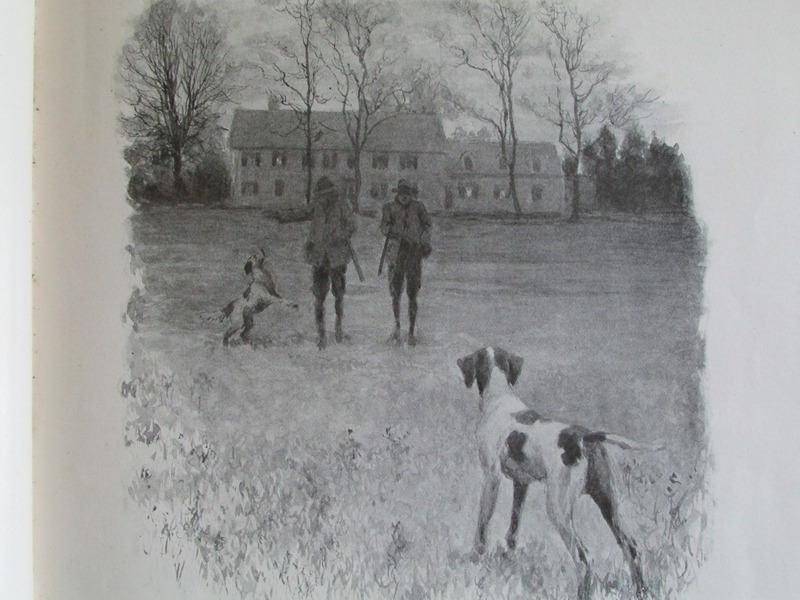 Frost (1851-1928) illustrated the wonderful story by Jesse Lynch Williams that appeared in Scribner’s in 1916, titled “Good Hunting.” The priceless illustrations are typical of Frost and there is one striking image of the Old Mastic Home with Jesse and his host, Billy Floyd, going off to hunt with their dogs on a chilly autumn morning. Mastic fields had quail, woodcock and pheasant, while its creeks and bays were teaming with shorebirds and ducks in season, making it a gunner’s paradise. Figure 7: Guest book sketch of Greater Yellowlegs, Lynn Brogue Hunt, c. 1920. William Floyd Estate, National Park Service. 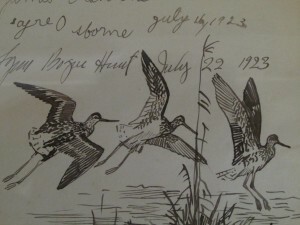 Figure 8: “Heads Down,” 1897, Annie L. Winters, pen and ink sketch in the guest book. William Floyd Estate, National Park Service. Lynn Bogue Hunt (1878-1960) came to do just that, hunt, and sketch, with family members in the 1920’s. Hunt was a wildlife artist known for producing multiple Federal Duck stamps, numerous hunt scenes for Field and Stream magazine and dozens of other fine publications. His pen and ink sketches of the Estate are found in the guest books. Guests who visited the family were requested to sign into guest books, which they did. However, many of those guests were also excellent sketchers and they couldn’t resist doing fantastic pen and ink drawings in the back of the books. I have dubbed them all “the Guest Book Sketches.” It is astounding how so many of them could draw and draw extremely well. These guest books range from 1897 to the 1920s. 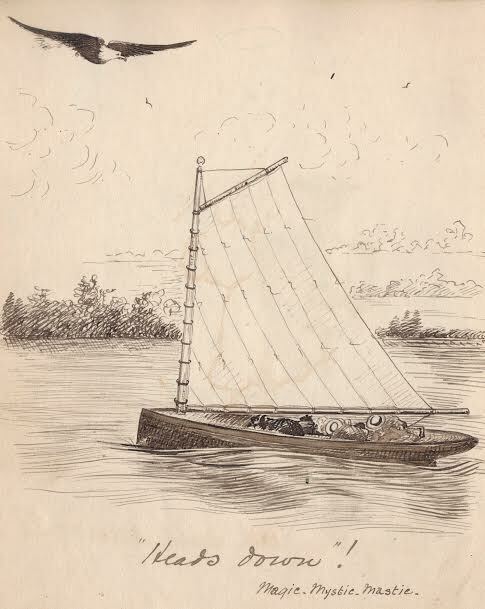 Some of the finest ink drawings depict sailing on Moriches Bay. Figure 9: Blackhead, Monhegan Island, c. 1915. Laura Mackay, oil on canvas. William Floyd Estate, National Park Service. A woman who should be known as an artist and hopefully will be recognized by lovers of art is Laura Mackay (1876-1971). She was a cousin of the family and she painted multiple landscape scenes of the property through multiple years. It seems her earliest ones were commissioned by Floyd family members. These early commissioned pieces date to c. 1905 while her later ones the 1920s. The story passed down from the family was that Laura visited Mastic often so to thank the family for such wonderful times she would paint a landscape scene every year to thank them for their hospitality. Laura also visited the well-known Monhegan Island, Maine artist colony, perhaps several times before 1925. She could have known Rockwell Kent or Edward Hopper when those famous artists were in residence there. Both men, as well as other artists, painted the dramatic and awe-inspiring Headlands. 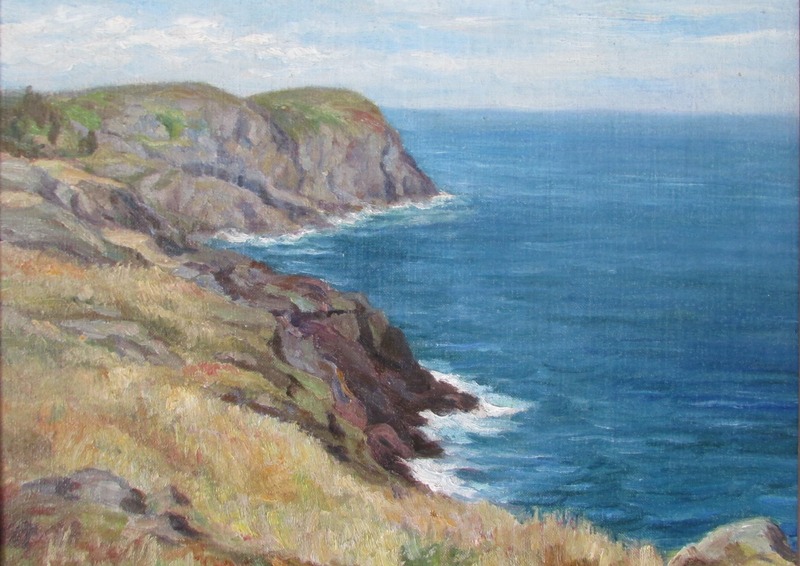 Her magnificent oil painting of Blackhead, Monhegan Island, is one of the finest pieces in the Estate’s collection. It is as good as Kent’s or Hopper’s of the same subject. All three artists (as well as many others individuals since those early times) painted it from the same location—and, in fact, almost from the exact same spot. Laura’s aunt was Henrietta Dubois Burnham (1861-1945), who also should be recognized as an artist. Two of her magnificent oil paintings occur in the collection. She painted a loyal and beloved family worker, old Aunt Hannah Edwards, at her cabin, in 1890. Her other oil is entitled “Mastic Creek” and dates to about 1888. Henrietta, upon being married and moving upstate, went on to develop the original famous maple sugar candies called “Adirondack Mountain Creams.” Her and her husband successfully ran the business for years. 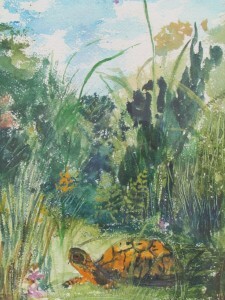 Figure 10: Mastic box turtle, 1975. Theodora DuBois Paul, watercolor. William Floyd Estate, National Park Service. Another family cousin, Theodora DuBois Paul (1919-2009), painted the last painting ever done within the walls of the old house. The date of this work is 1975. By 1976, the family had turned the house and property over to the newly established Fire Island National Seashore. It became a separate operating unit and remains as such to this day, when it was renamed the William Floyd Estate. 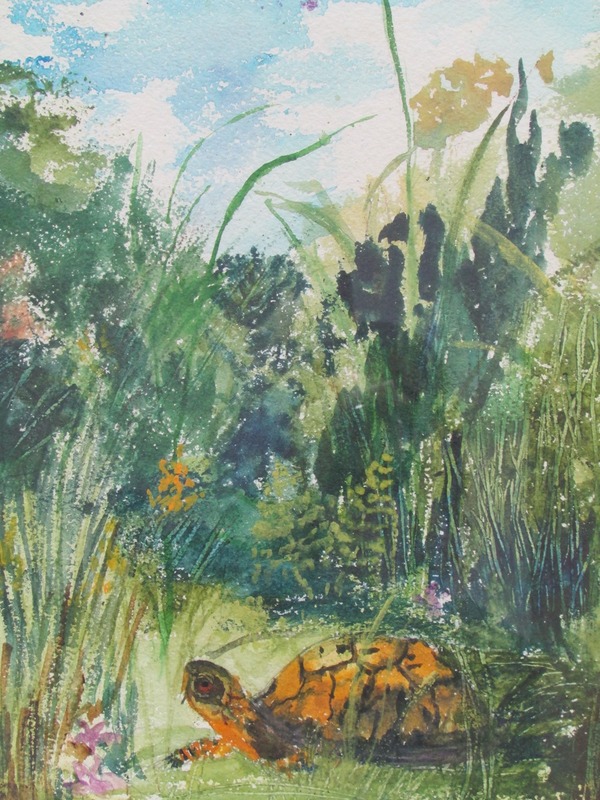 The subject of this last beautiful watercolor was a humble little Mastic box turtle. She gave the painting as a gift to the lead donor and last family member to inhabit the house, Cornelia Floyd Nichols. Her famous naturalist husband, the world renowned John T. Nichols, studied the box turtles on site from 1915 to 1958. This is a very appropriate subject for a very old and interesting historic home by the sea. The study of turtles here continues to this day. Figure 11: Old Mastic House, c. 1960. Rosemary Hulse, oil on canvas. William Floyd Estate, National Park Service. The wife of the last caretaker on the property was Rosemary Hulse (1918-2005), and in her spare time she would dabble in watercolors and oils. Her family has recently donated back to the Estate many of her paintings, which all hung at one time or another in the house. These date from about 1948 to 1960 and are now part of the collection too. While never receiving formal training for painting, she was excellent in her images of the trees, landscapes and buildings. Why did so many people paint and sketch Old Mastic, particularly from the 1880s to the early 1920s? How could you not love the natural environment that was to be found at Mastic? It was a place where you could forget the cares of the world and the hustle, bustle and stress of city life. You could walk and explore pathless woods for hours. You could sail, paint and sketch, hunt, bird watch, relax and write. You could hear the relentless surf pounding the sands of the Great South Beach (today’s Fire Island). Better yet, you could see the barrier beach through the trees and fields, even from the house. Who doesn’t love the lure of the open sea meeting the sands of land? You were surrounded by the sweet scented great pine woods and the salty sea airs. You could watch a full moon rise out of the waters and smell the bayberry leaves as you brushed by them on your rambles. It does any soul good to experience this then or now. To hear whip-poor-wills calling instead of trolley cars rolling on streets gave people the peace and quiet they needed to relax, think, and forget their stressful cares. It gave them time to create, and so many of them did just that. Whether people captured a moment in time by painting or sketching, they were all recording history. Many of them wrote also about the wonderful times Mastic gave them. So that is why people came – to view an old house surrounded by piney woods, creeks, marshes and the ever present sea. A place where the land, sea, and sky all met and you became a part of it.